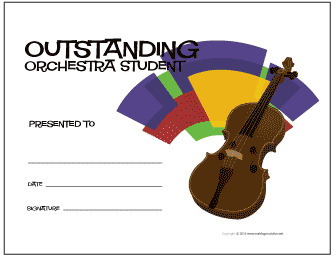 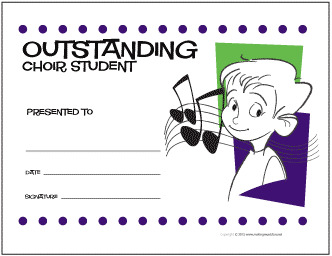 Praise your band, orchestra, and choir students with our blank free printable band, orchestra and choir (chorus) award certificates. 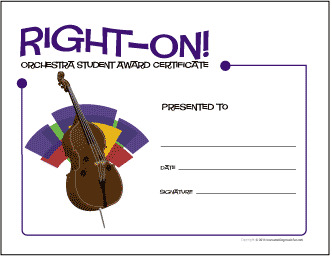 MakingMusicFun.net provides colorful and professionally designed award certificates that are available to you to download and print for free. 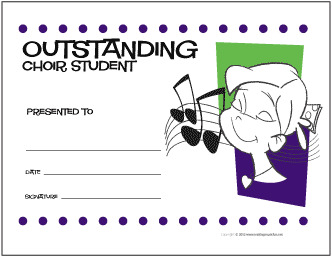 All award certificates are blank and designed in landscape format. 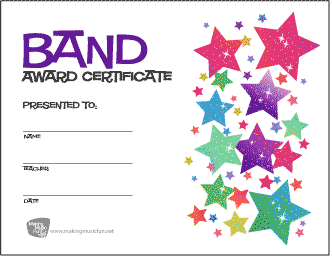 Plain white paper is great for everyday stuff, but it doesn't always make award certificates look special. 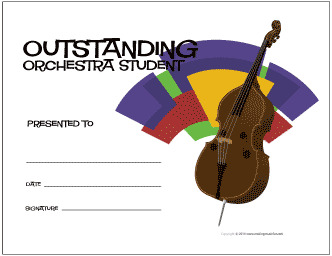 If you're planning to frame the certificate plain white paper works great. 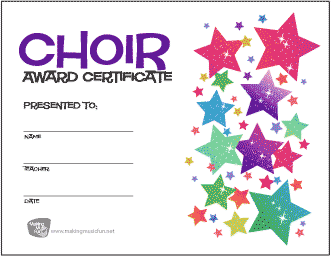 The gloss from the glass and the fancy frame will dress it up nicely. 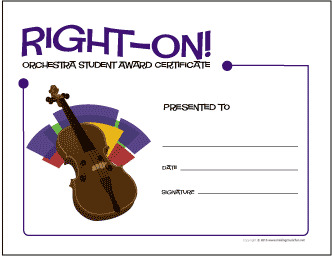 If you're planning on handing the certificate to a student at a recital or awards ceremony 32lb. 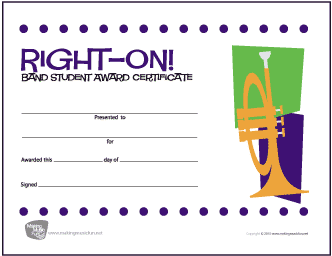 Bright White Laser Paper is the way to go. 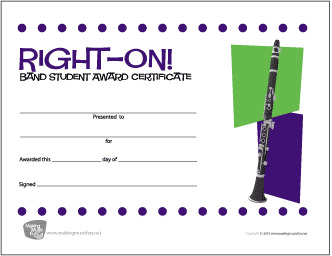 It will give your award certificate a glossy sheen and substantial feel that will definitely make their music award certificate something they will value for years to come.